Notice the fine print. 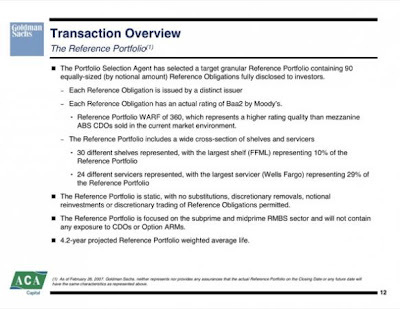 "24 different servicers represented, with the largest (Wells Fargo) representing 29% of the Reference Portfolio. Notice the extra, extra, fine print (1) As of February 26, 2007. Now check out the 178 page offering memorandum of April 26. What happened to the Wells Fargo deals, that were advertised in Goldman's flip sheet? And how did Paulson do? Since in just a few months, the securities were toast? I'll give you a picture, so you won't forget. Because Goldman and Paulson & Co. would have you to believe, that they didn't deceive investors, or lie, or cheat, or misrepresent? Goldman and Paulson, stole from big banks in Europe, and they stole from the pensions of firemen and policeman. and teachers and laborers. Goldman, and Paulson & Co., were equal opportunity thieves, stealing from the sophisticated, and stealing from the common folk. The only difference between the two, was that Goldman thought theft, was doing the work of God! Now two days ago, the banks said they weren't ready to do any homeowner modifications. Goldman is hoping to pay a fine of $100 million, and walk away; meanwhile the stock lost $10 billion in market cap. How does 100X leverage feel now? I'm sorry, but I just don't think that the SEC is so dumb, and that Goldman's pimp, Jim Cramer, is so right this time. I'll bet with the SEC. Goldman f*cked IKB, but they wrapped it up in legalese. Take Goldman before a jury, and the wrapping comes off. Goldman wouldn't stand a chance in hell. Even if they were doing "God's work." 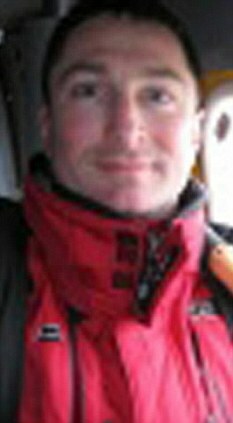 And the Fabulous Fabrice who helped concoct this sham? Who boasted he would be the only standing? Now he's at a loss for words! But while we are talking Abacus, remember this one? 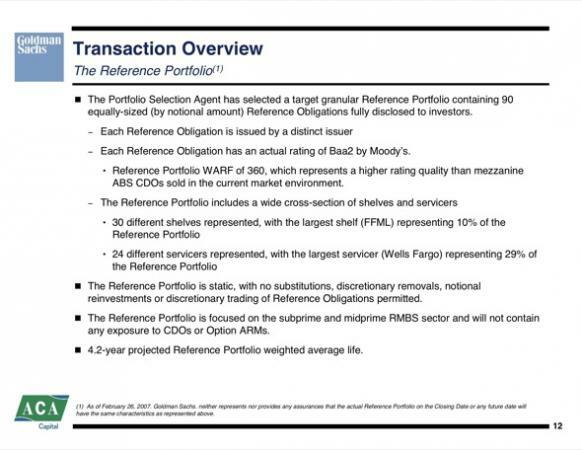 Nov. 12 (Bloomberg) -- Goldman Sachs Group Inc. paid off at face value some junior-ranking slices of two collateralized debt obligations at the potential expense of more-senior classes that now are likely to default, according to Fitch Ratings. Goldman Sachs, the most-profitable securities firm, applied its “sole discretion” to ignore standard payment priority and use cash in reserve accounts for the Abacus 2006-13 and Abacus 2006-17 CDOs to retire lower-ranked notes, Fitch said yesterday in separate statements. 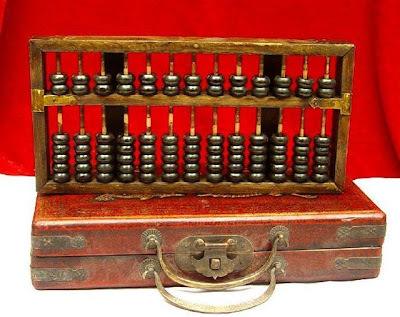 Before Goldman perfected high frequency trading to screw their clients, their algorithm was an abacus. And this time, it may not be an "Oh My" moment. Because Paulson and Co., who wasn't charged, was one of the experts at shorting stocks without a locate. They made it on the way down, and then, they made it on the way up. 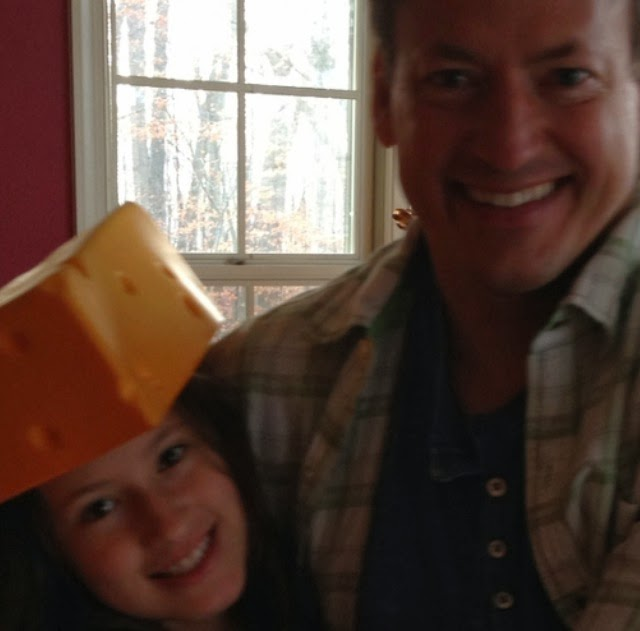 And speaking of stocks without locates, when is this story on Phil Falcone going to get some legs? Remember how he made $2.5 billion shorting Wachovia stock? Back in late 2008? While most traders who make their living betting financial sector stocks will decline have been forced to the sidelines in recent weeks because of the Securities and Exchange Commission ban on shorting, one trader who foresaw weakness in Wachovia in the spring has managed to book a $2.5 billion profit on a single trade on the ailing bank, The Post has learned. Philip Falcone, of New York-based Harbinger Capital, rang up the incredible profit by shorting a whopping 117 million Wachovia shares at $30 back in May after his top analyst and investment chief pointed out problems with the Charlotte, N.C.-based bank's mega-billion dollar Option ARM loan portfolio. The entire short interest in Wachovia, at the end of April in 2008 was 117.4 million shares. Did Falcone have the entire short? But wait--he put his short on in May. When the short interest only moved up a couple million shares? Where was that legal short? Of 117 million shares? Why didn't it show up on the short interest tables? Shorts that helped drive Wachovia down? Oh, that's right. I forgot. He did his shorting through Lehman Brothers. They didn't need a locate! But we still have Lehman's records.Why doesn't someone check his locate? Paulson & Co. also participated heavily in the raid of Wachovia. Does anybody think that his $3.7 billion dollar payday, came just from Goldman's abacus? Why didn't his shorts show up? He rode Wachovia down in th eraid, and then, gobbled up the shares. 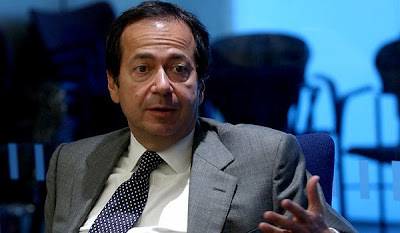 At the end of 2008, Paulson's position in Wachovia made up almost 8% of his fund! 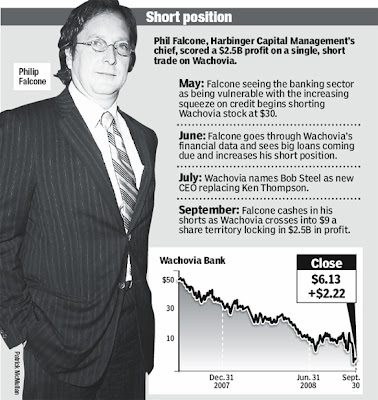 But why was it that only Paulson's buys of Wachovia show? And where was Philip Falcone's shorts? Why didn't they show? Just like Paulson's? Oh that's right. I forgot. They're billionaires. They get to play by different rules! But how much money has Paulson's investors made? $25 nillion? Does anybody think that panics or bank runs only happen in Greece? Could some bolt from Pailson, at the hint of impropriety? Don't you think, that they know, with a nod and a wink, of Paulson's antics? Why else did gold get hit today? Who owns gold? Isn't Paulson the biggest owner of gold and gold stocks on the street? 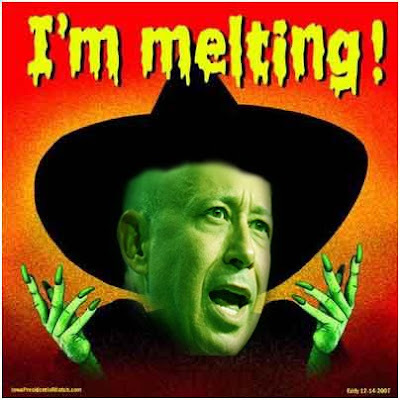 Maybe you'll say that it wasn't Paulson selling. Oh. What was it then? Traders front running the selling they thought he would do? Like Paulson & Co. and Mr. Falcone did to Wachovia! But does anybody really think, that the SEC is that stupid, that they haven't figured out how Wall Street gamed the system for their own benefit? And wiped out the middle class while they were at it? And then bonused themselves for doing it? This is a lot of great information. I ran across several things in which I have been searching for. Wow everyone!! This really is the most interesting posting I actually ever read! Very beneficial. Keep writing.